Wonderful review of Midnight and Moonshine and then, five minutes later, it magically* appeared as a REAL BOOK on my doorstep! Along with my gorgeous hardcover of The Year’s Best Australian Fantasy and Horror 2011, which has my story ‘Miss Tapekwa County’ in its impressive table of contents! Squeeeeeee! 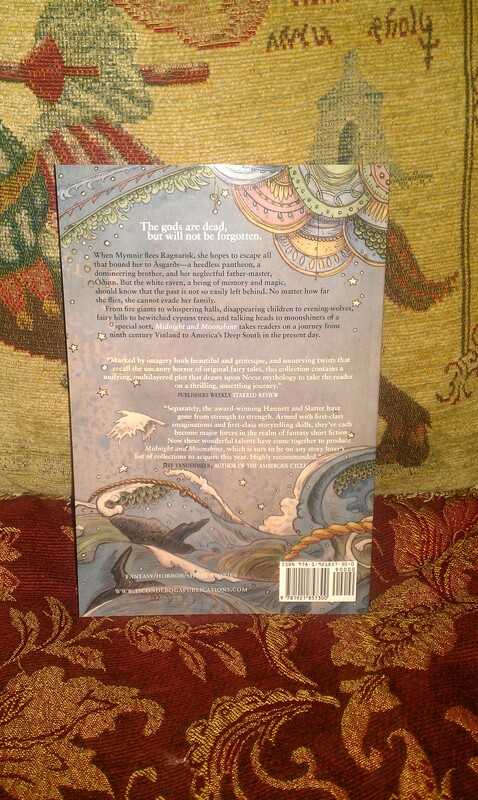 Also, since nobody ever gets to see the back cover of books online, I wanted to post a pic of the back of Midnight and Moonshine because it contains some of my favourite details in Kathleen’s illustration (the whales and the raven, in case you were wondering). *If by ‘magically’ I mean via courier. Which I do. 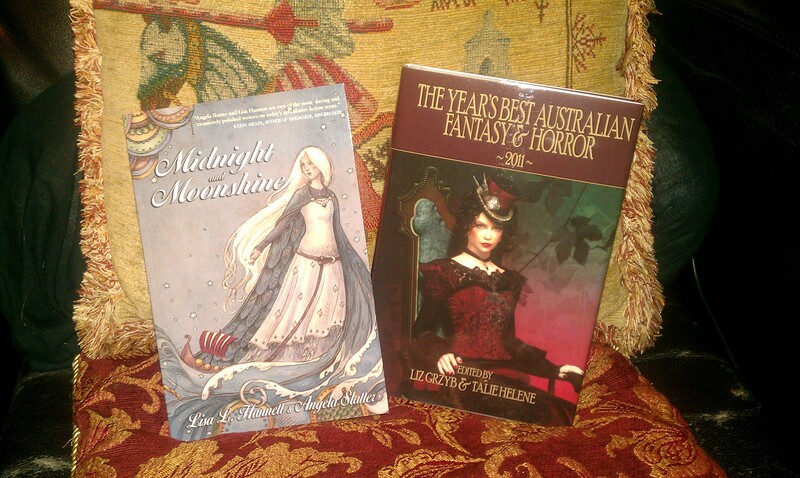 Tags: angela slatter, bluegrass symphony, kathleen jennings, liz grzyb, midnight and moonshine, miss tapekwa county, talie helene, ticonderoga publications, year's best australian fantasy and horror 2011. Bookmark the permalink.